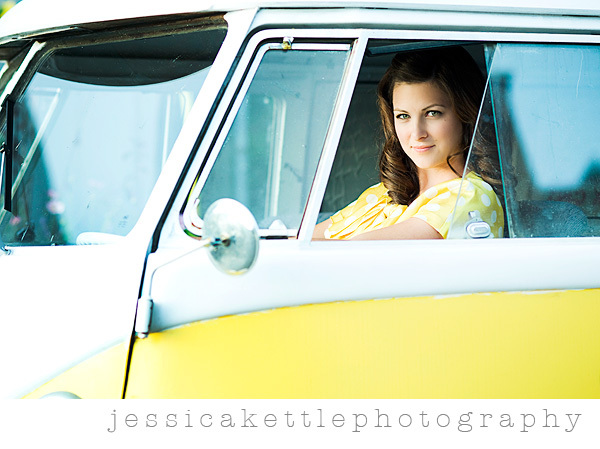 Jessica Kettle Photography: she's a lady. well, what can i say. i took these lovely photos of my best friend brittany in, oh, say, SEPTEMBER, and as much as i LOVED them, i am just now getting around to posting!! so get this, we were on a little vacation in sandpoint, idaho which seriously has the best little antique stores. i was browsing through some racks of clothes when i saw this little yellow polka dotted number and about DIED. and then i really died, because it's brittany's size (aka 00) not mine. needless to say after seeing it on her i KNEW we had to do a little shoot and let this girl be a model for a day. i don't know though, maybe this needs to be more of a permanent occupation for her. don't you think? we seriously had like 15 minutes before the sun went down on our last night in town and check out what we got!! i could have blogged a million pictures... SERIOUSLY. Great shots!! She is beautiful!! And the outfit is to die for!! boy, you sure know how to humble us other photographers. HEY, you are supposed to be on VACATION. I know how long it takes to post things! 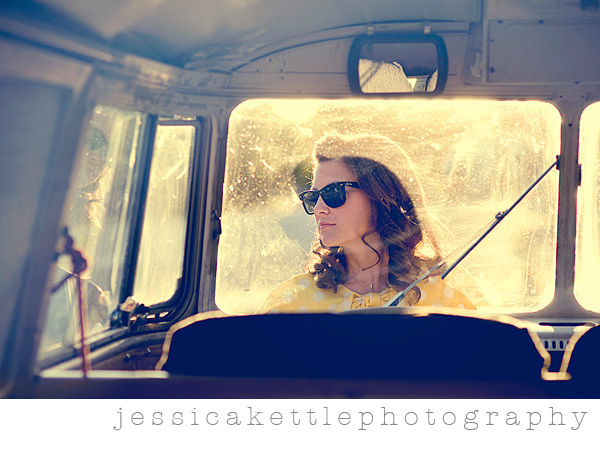 Regardless, I love these especially the one where you took it with her in the front and you behind the car, her looking through the windshield. Really pretty. 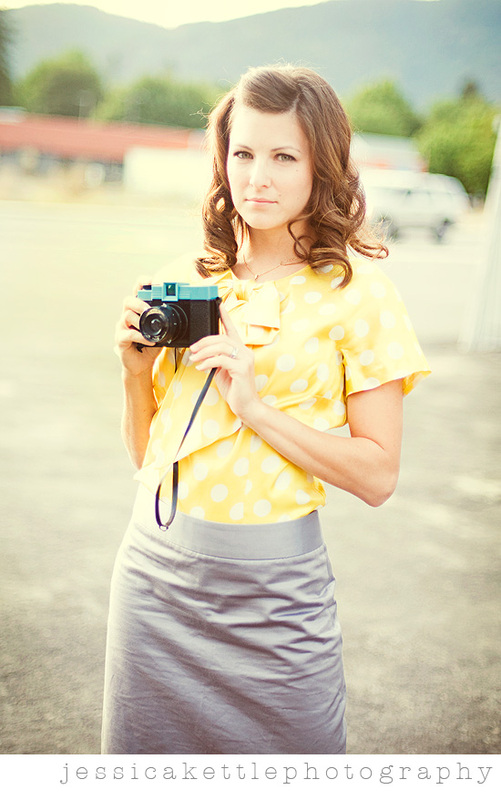 Love the yellow polka dots & your locations & props. 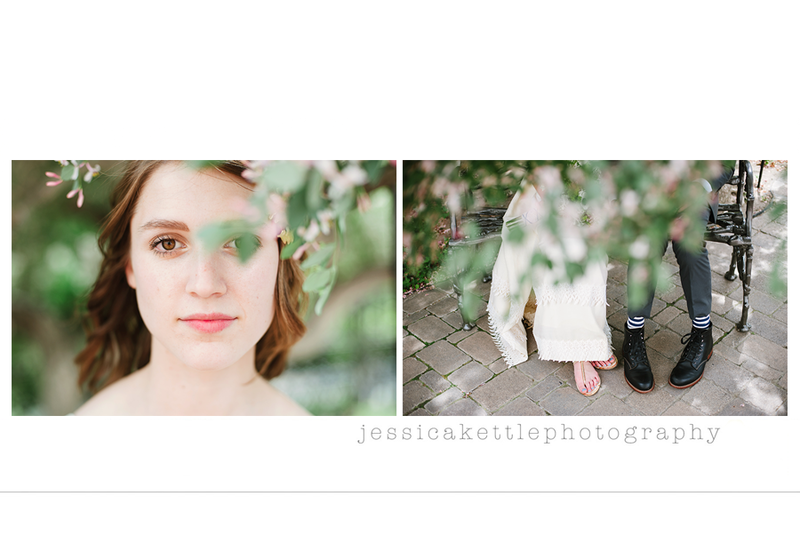 I am in LOVE with these shots! 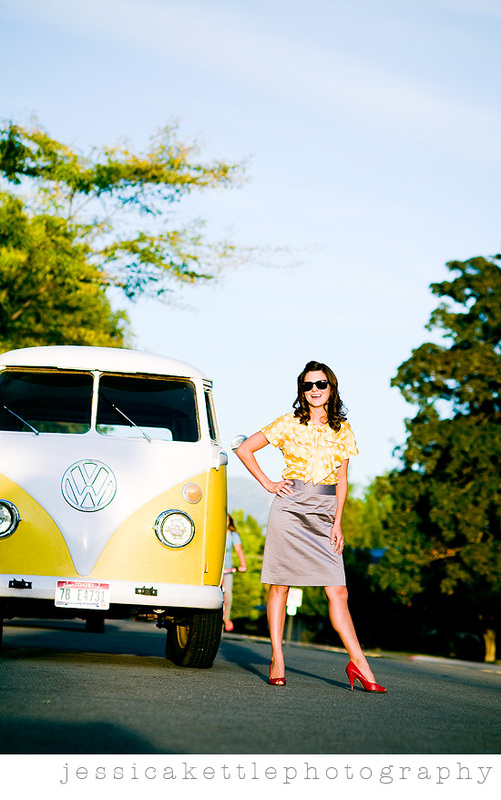 The yellow polka dots, yellow VW bus, pumps and sunglasses–all so perfect and fun! How is Brittany so beautiful? And even more... Why does she not live by us??? These pictures are amazing! This makes me miss her so much! what a find on the blouse! LOVELY! and ditto on the pictures! 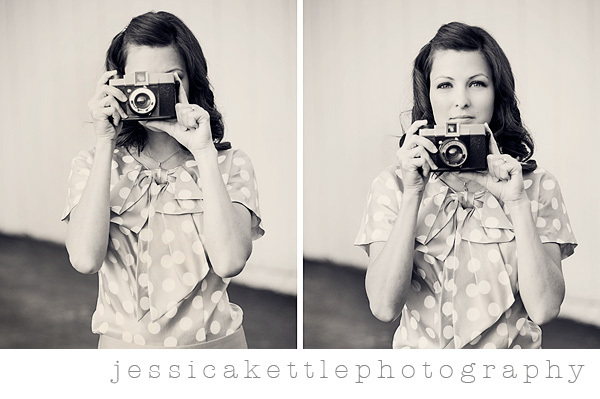 Beautiful pictures, and she's beautiful!!! I especially love the close-up with her lips slightly parted; it's stunning. now my question is who owns the bus!?!?! 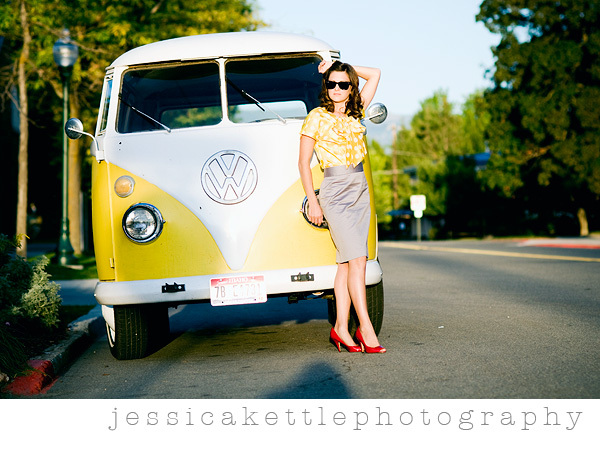 Bart loooooves VW buses! oh my gosh!!! I love these sooo much! She is beautiful. 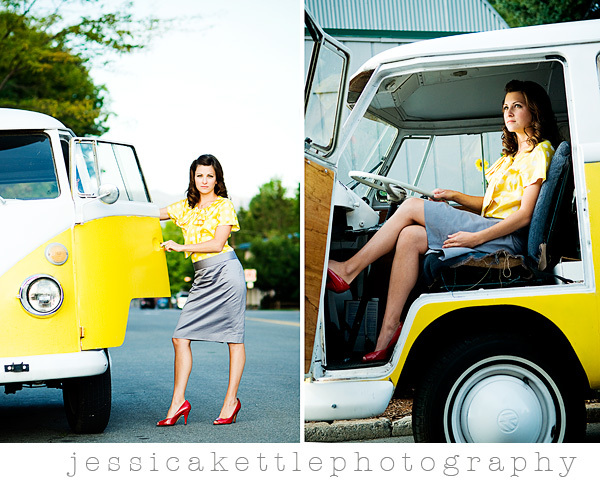 I love her outfit, and definitely love the bus. Some of my favorite images you've posted! Love them! in love with these pictures! im drooling. the yellow blouse? amazing. very classy. Everyone is so sweet! I love them so so so so much. 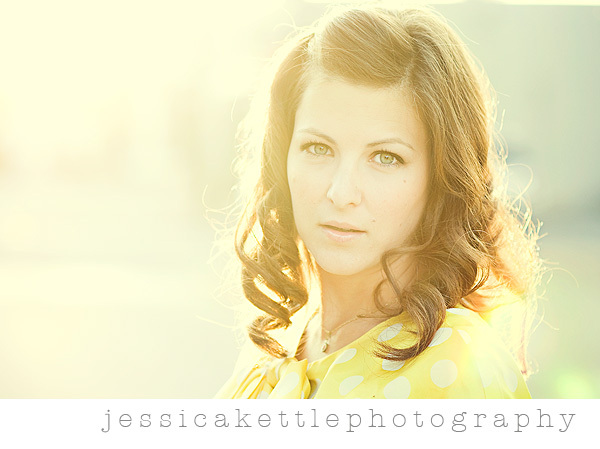 Thank you Jess for taking them and for making me look so pretty. I wish we lived close so that you could do my hair and makeup everyday. Also I was thinking that if I had you in my life (closer) maybe I would do my self up a little more. haha. You know always look stunning for you. these are BEAUTIFUL! 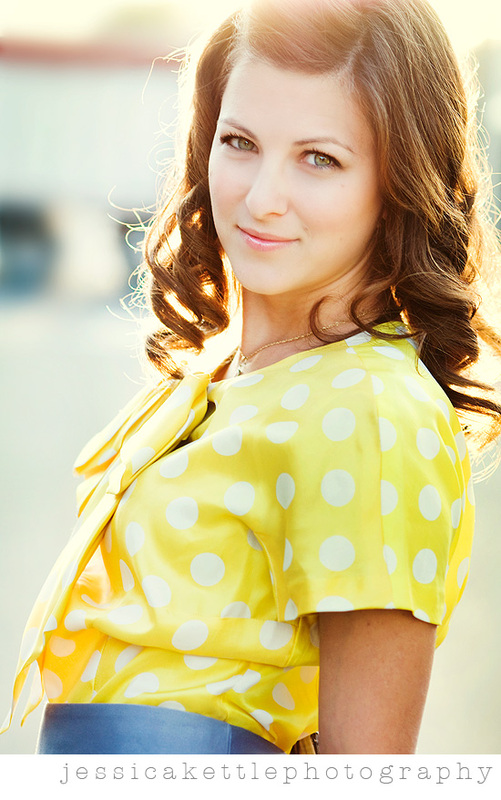 what a gorgeous best friend/model! Gorgeous! Love anything vintage! Oh and I LOVE the french song on your site. Who sings it? I'm in love with this set. Magically beautiful. Wonderful concept and details. Ummmm...LOVE IT!! Want that shirt SO bad. You are fabulous! What fun photos! 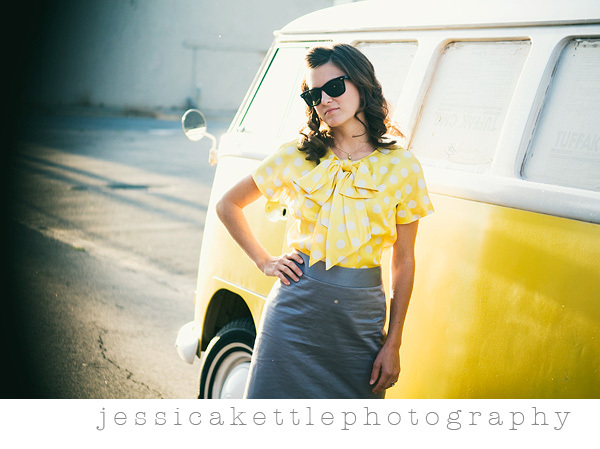 I love them all... and I am IN love with her yellow blouse.